Here in Turkey cabbages or lahana feature bigtime in winter. Look at this laden stall in my local Istanbul market in Selami Çeşme. Not only is the number of them impressive but their size is too. Have you ever seen such enormous cabbages? When buying, you should look for firm heavy ones and avoid any that have been cut as some of the nutritional value will have been lost. Yes, cabbages are a rich source of Vitamin C, fibre, iron, calcium, and potassium so not to be sniffed at. A nice fresh cabbage will keep in the fridge for up to two weeks in a plastic bag. Last week when I was at this very stall, I overheard a woman say to the man that she wanted a good one because she was going to make kapuska which is a traditional Turkish dish although it doesn’t sound it. Because I wanted to photograph the stall, I thought I’d better buy one too. 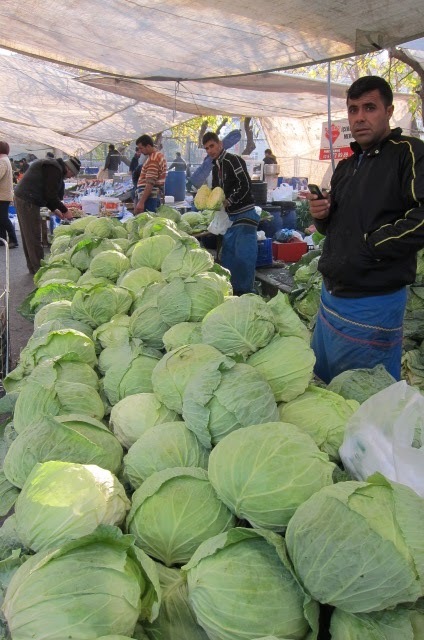 In fact, I bought a modest half cabbage and I thought to myself why don’t I make kapuska ? And so today I did. § Peel off the coarse outer leaves of the cabbage and discard. 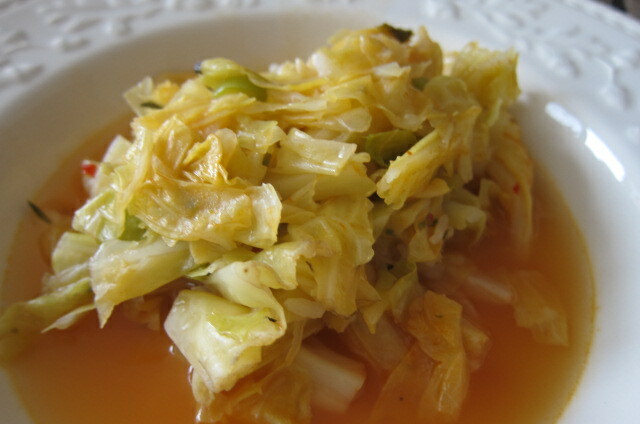 Cut the remaining cabbage into chunks and wash.
§ You will need a large saucepan. Chop onion and garlic. Saute in a little olive oil for 3-4 mins. Add cabbage and saute for a further 5 mins. Add Salt and Pepper. § Add both tomato and pepper pastes, the chilli, thyme, and rice. Gently mix together. Add the water. § Bring to the boil, cover, and then simmer for 10 mins or until the cabbage and rice are done. 1. NB This recipe is for 1 cabbage. I used my half and this has made more than enough for 4 people. I simply halved all the ingredients above and it worked beautifully. I made it earlier in the day and I am sure it will taste even better now. 2. Check the seasoning carefully. It needs salt! 3. Kapuska has many versions: with meat, rice or bulgur, or with beans. This is only one. 4. Turkish tomato and pepper pastes are delicious. I could eat them straight out of the jar with a spoon! If you can’t find the pepper one, don’t worry, just use a little more of the tomato paste. Glad you added the note about pepper paste which I've never heard of. Sounds like a yummy (and easy!) recipe. And yes, those cabbages are ENORMOUS! 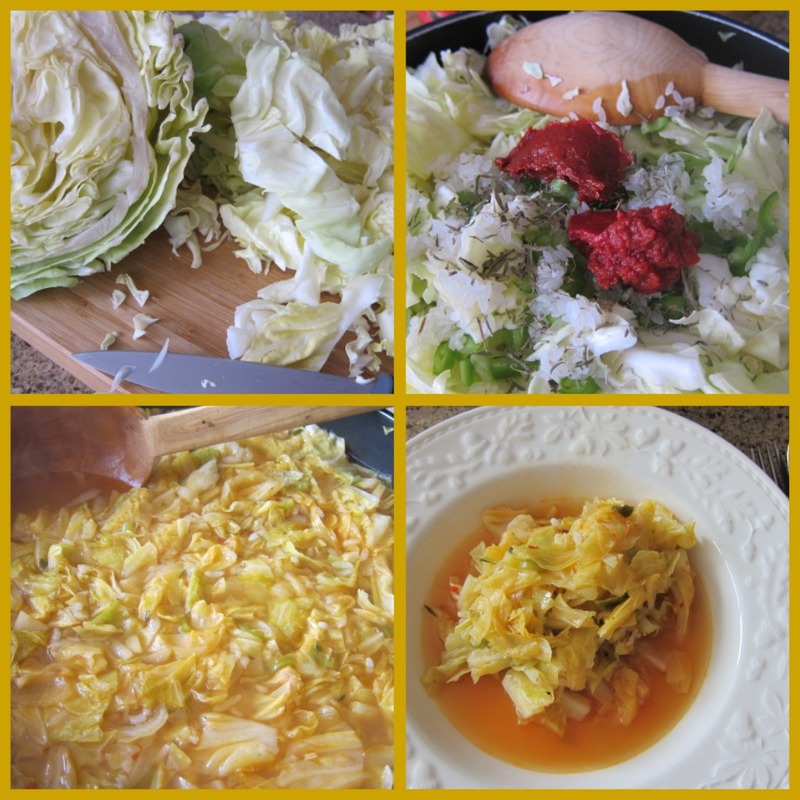 So glad to find a cabbage dish one can whip up on a winter's day. The reason why "kapuska" doesn't sound Turkish, is because the word is Slavic in origin. "Kapusta" is the Russian, Hungarian, Polish, Ukrainian, and Slovak word for cabbage. When it was borrowed into Turkish the "t" became a "k" under the influence of the initial "t". My Turkish etymological dictionary traces the Slavic word back to Latin caput, capit- (head). Hi Claudia. Thanks for popping over to my blog. Nice to "meet" you. And of course it's led me to your blog and I have just added myself to your Followers. I usually use the cabbages for stuffing and I've never tried this recipe so will give it a go. 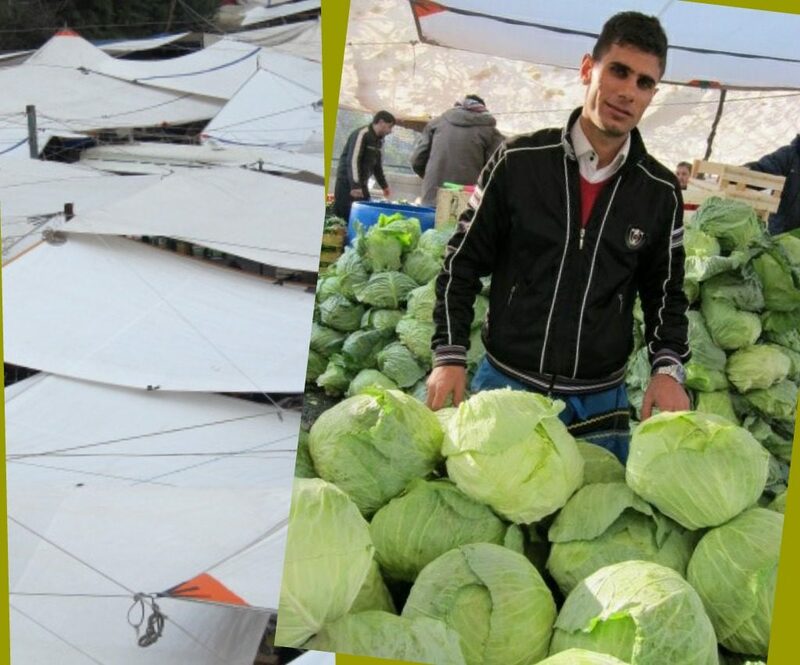 Sounds delicious and love the pictures of the stalls…gorgeous green color from the cabbages. Popping over from Happy Frog & I….following you now…great looking blog! Hi Meeling and Ayak! How nice to hear from you both and thanks for your comments! Also for becoming followers. Lahana dolması coming up ie stuffed cabbage leaves, that's a good one. It's amazing, isn't it, this blogging world? I love it! Hi Mr Old School! Thanks for posting that insight into the etymology of kapuska! It does indeed sound Slavic. But the point is, do you like it? Ali and Rosaria, thanks so much for your comments too. Do you eat cabbage?? I think it is probably a much-maligned vegetable!